Home » Films » Statham doing Bruen’s Blitz (Updated with comments from Ken Bruen as well as my own thoughts). Statham doing Bruen’s Blitz (Updated with comments from Ken Bruen as well as my own thoughts). We have confirmed that Jason Statham (THE TRANSPORTER, CRANK) has agreed to play Brant, a rather crude, un-pc, borderline sociopath of a cop, in the film version of Ken Bruen‘s novel BLITZ. Paddy Considine (THE BOURNE ULTIMATUM, HOT FUZZ) will be playing Sergeant Porter Nash, an openly gay cop that works with the homophobic Brant. I think this could end up being some dynamite casting. While most of Jason’s past roles have not exactly required heavy lifting, actingwise, I think this is a role that he could really sink his teeth into. He can use the image his prev roles have established, as well as showing off some real acting skills. Brant appears in numerous books so this also has the potential to be another franchise for him. I do have to say that I am not sure if the rights to any of the other books were purchased. The screenplay comes from Nathan Parker (MOON) with Elliott Lester (LOVE IS A DRUG) directing. Filming starts on Aug 10th. Bout damn time we get some Bruen on the silver screen! Editor’s Note: I have corrected the spelling of Jason’s last name in Ken’s quote. I got a handful of emails pointing out the erroneous inclusion of an R. But Ken should not feel bad since I left off a T in Elliott Lester’s name. This was also pointed out to me….sorry Elliott! Much easier to imagine than Jude Law. Just read Blitz (and The White Trilogy) and am pumped for this. 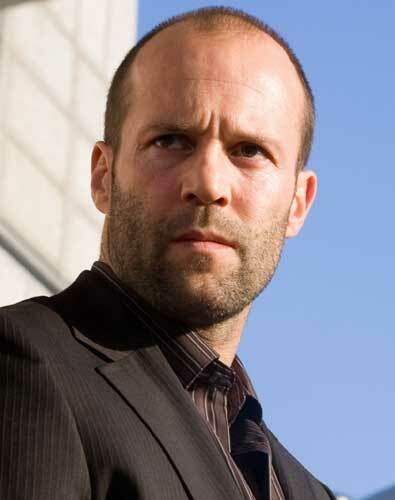 I guess Statham could be pretty good in this role. As you said, it has some qualities that we have seen in his other roles yet could also give him room to expand his range.